Research shows that pets can help us heal, but experience speaks louder than facts. Have you ever sat in a dentist chair, reflecting on the impending horrors when you suddenly look upon a tank full of colorful fish, and then forget what you were thinking about? This was no coincidence. The fish aren't just there to be pretty. Those sneaky dentists are aware of the calming effect of those little creatures, as they weave to and from. Where will Marlin swim next? Will he take a left at the warship ornament? Will he evade it? We never know, but the suspense is sometimes enough for us to forego our worries. This superpower isn't exclusive to fish. In a study at Purdue University, children with autism showed fewer signs of stress with a guinea pig in the classroom. Researchers at Columbia University use horses to treat PTSD symptoms. And then there are dogs, always encouraging us to get up and move. In addition to being great companions, they provide a valid excuse to exercise daily. I can attest to the healing power of dogs, having experienced it some years ago. Originally, my family had not considered owning a dog. We believed our lives were too hectic, and that making time for one would be a struggle. In September 2014, my family went through an inexplicable hardship. Two of my grandparents passed on, within three days of each other. They were my paternal grandmother and my maternal grandfather, and their illnesses coincided even though they were in separate countries. Due to the chain of events, my parents, siblings and I were scattered between three countries, forcing us to grieve separately. When we reunited, things felt different. The house was quieter than it had been, with each of us reflecting on what we'd gone through, and trying to cheer each other up. After a few months of feeling the sorrow looming over us, I realized that our home needed a spark...something to rekindle a sense of joy. And then it happened...a friend told me that she had a puppy seeking a home. 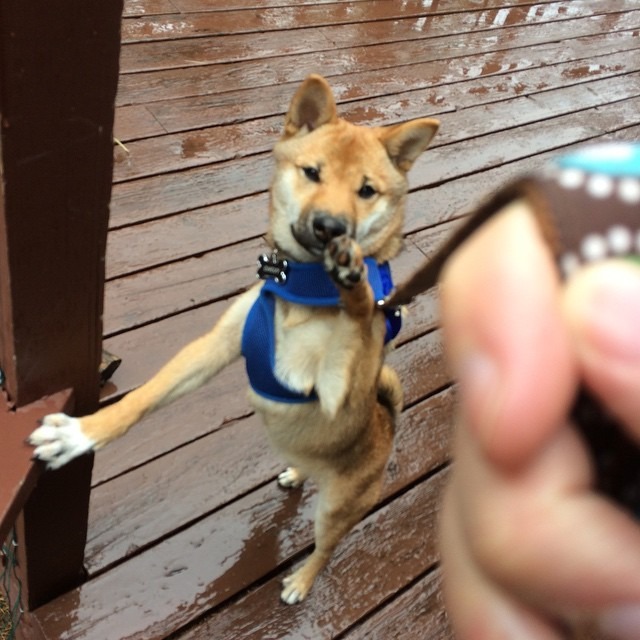 Such was the start of an adventure in Shiba-owning. 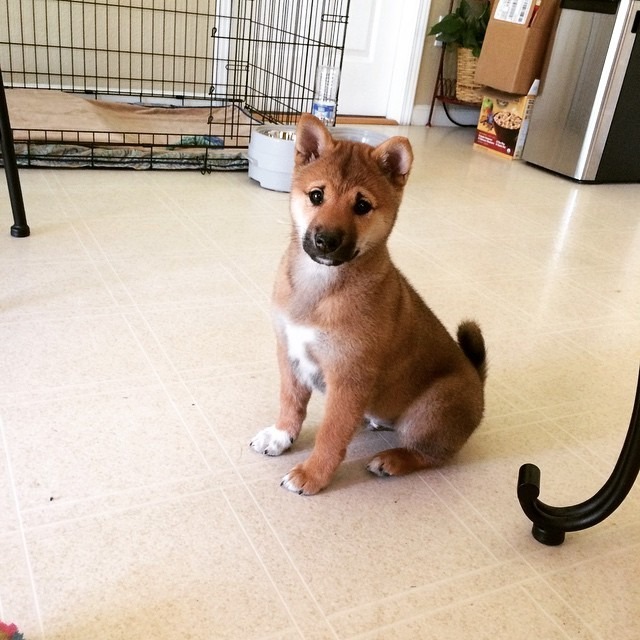 Shibas are known for being loyal, hilarious, sharp, and notoriously stubborn. They learn many tricks quickly, but require a degree of bribing and negotiating before they decide if they're in the mood to obey. If you trick one into stepping out in the rain, you'll get the cold shoulder for a couple of hours. 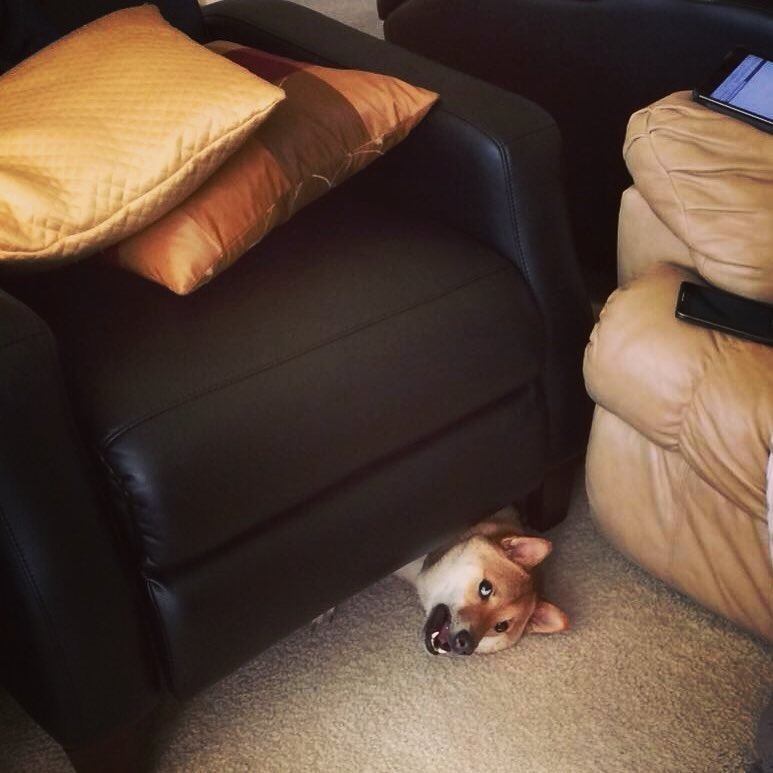 Never underestimate the stubbornness of a Shiba. Chevy came home three years ago. His mischief keeps us in a constant state of laughter, melting the stress away with his stubborn but loving antics. He often motivates me to wake up early...by gnawing at my ankles and then sprawling across the mattress to prevent me from climbing back into bed. "Is that a fox?" has become one of my favorite conversation starters. Shibas attract attention everywhere they go, Chevy being no different. Though I don't believe he resembles a fox (unless it's of the animated Disney variety) some of those commenters are now buddies that I wave to around my neighborhood. 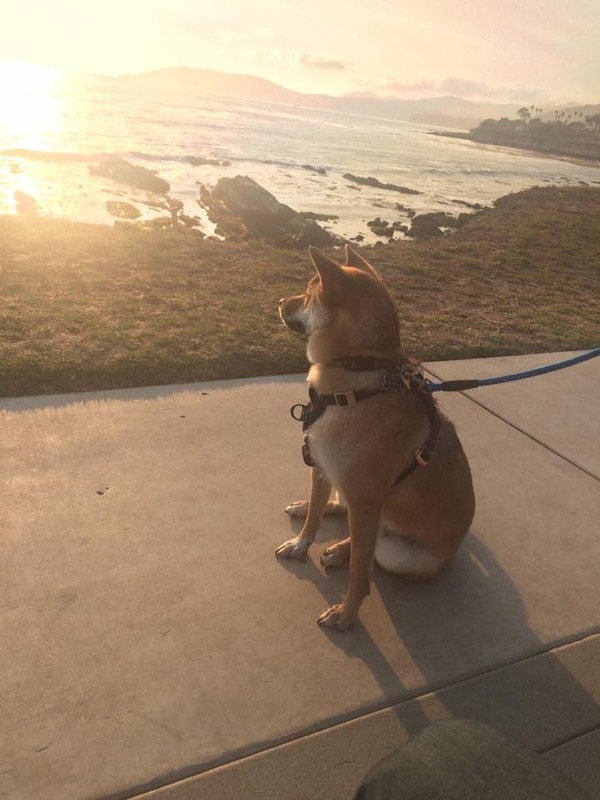 As he gazes into the sunset, he ponders mankind's oldest question...who is a good boy? Various studies have demonstrated the healing power that animals have over their pet humans. Dogs, in particular, are famous for alleviating stress and anxiety, improving mental and physical health. 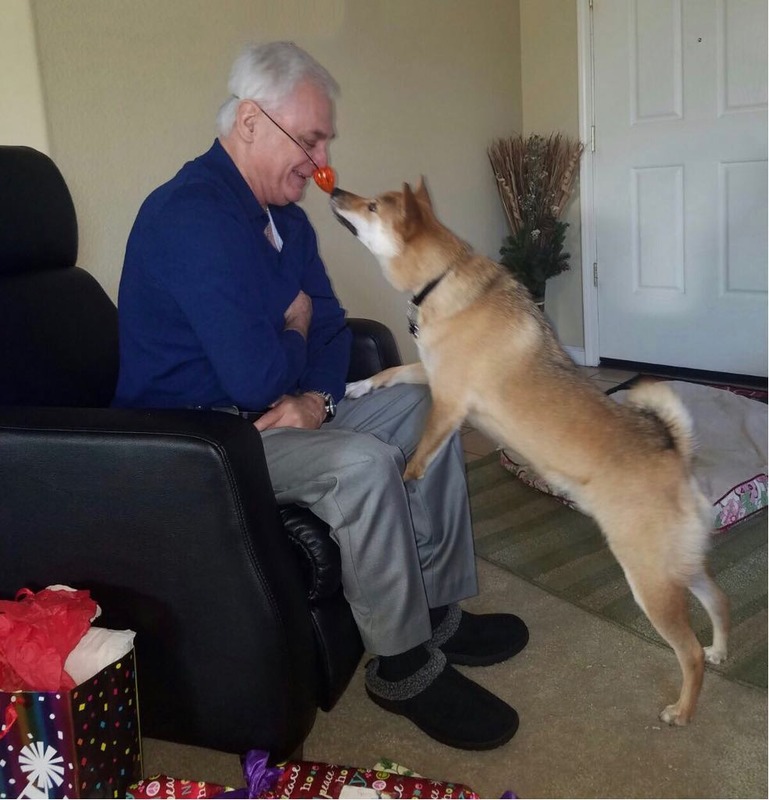 Lower levels of blood pressure and cholesterol have been seen within minutes of playing with one, and a Japanese study found that gazing into a dog's eyes triggered a release of the love-hormone oxytocin (unless they're wolves - definitely do not look a wolf in the eyes if you meet one). Raising a pet requires a great deal of time and attention, and you may occasionally have to depart with your favorite slippers. But when you come home from work and feel their excitement rub off on you, it makes all of it worthwhile. Chevy has had that effect on our lives. Although he often hogs the spotlight on our social media accounts, we've never once regretted making him a member of the family.